At Signable HQ, we’re big believers in embracing technology – as you’d come to expect from a software company. But we don’t just rely on our own technology to help things along, we embrace a few other tools, too. Today it’s easier than it’s ever been to find an app to help with a problem you’re having. Technology is everywhere you look, which has enabled enormous productivity gains for businesses everywhere. 64% of SMB’s are already adopting software solutions, and this is growing to an estimated 88% by 2017. But with such a saturated market, it can be difficult to spot the right solution. Which is why we’ve put together some of the favorites we use, and just how they help us achieve higher, improve productivity and a happy team. Start with something simple. Remember The Milk is a straightforward app that you add your to-do list to. Easy right? You can organize whether you’re using for work or personal, set reminders for specific tasks, break tasks down into subtasks and of course, share your tasks with others. By organizing your daily tasks and having the reassurance of set reminders, you can comfortably carry on with tasks, knowing that you’re not forgetting anything and reduce stress around any tasks that could have tight deadlines. Adopting this approach is a great start. Hipchat is a chat platform which we use every day to talk about all things Signable. And of course, all things not. It’s an incredibly useful tool which we’ve come to rely on as our central hub for communication and information. Having a central point for all your information means that you keep everything searchable, and if a team member is busy, they get to prioritize their work over being interrupted (breaking someone’s concentration is definitely not cool), by checking in with the chat when they’re ready. By creating a culture where communication is completely open we rely less and less on internal email – this helps save time clearing down emails every morning! It also means cutting team members out of the loop is kept to a minimum, and gives us the option to work in a distributed way if need, or want, be. And giving your team that freedom means you’ll have one happy team, if Team Signable is anything to go by, anyway. We just want to start by saying; Trello is great. Its idea is a simple one, but can be used in a lot of different ways – and Team Signable uses it to help with their day to day work. Trello is essentially a software tool that helps you make lists. And that’s just how we use it. By creating boards specific to each department or project and within them, sections of lists for work that’s planned. Each list has individual cards with tasks which can be assigned to team members as needed. 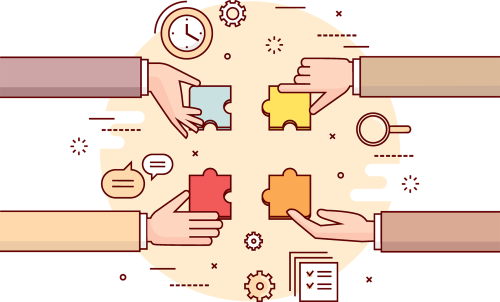 Within these teams are able to have conversations specific to that task, or add comments & updates, and notifications are sent to all parties involved in each task whenever a change or update happens. Having work planned out in an interactive and visual way helps organize our workloads as well as encouraging collaboration. This means that as and when new ideas come to someone, it’s easier to contribute and can be done according to their schedule. While reinforcing a view that everyone’s opinion is valued. 4. Simplify sending documents – go paperless with Signable! We might be a bit biased on this point, but if your business sends documents in any capacity, an e-signature solution is super beneficial. Signable helps to improve productivity by sending documents to its signer instantly and by removing a time consuming paper-based filing system. Our electronic signatures are also a very effective way of making a recruitment process sleeker. As soon as you have selected your successful candidate you can immediately email their contract through the e-signature platform. They can then review and sign according to their schedule, or even on-the-go, and contracts are returned as soon as they’re completed. Removing the need for in-store visits and cut out printing and postage costs. 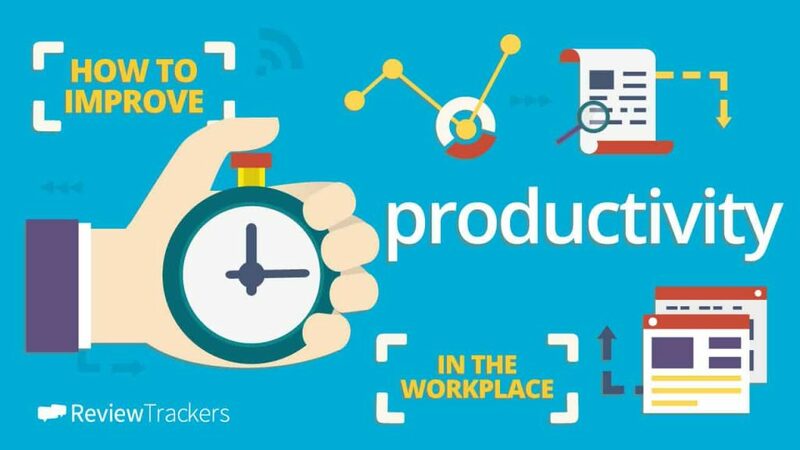 Meaning that teams get to finish work quicker increasing their productivity and take their focus away from admin to focus on other aspects of their work. So give them a try! By utilizing tools that up your team’s output, you’ll consequently see a boost in team morale. Cementing a culture where the staff is encouraged in a positive way to always be improving. Win-win!